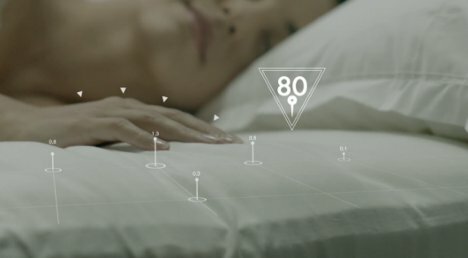 It is human nature to wonder what happens while we’re asleep – and now a robot and a special bed will help a lucky few people find out. The Sleep Art project will involve a select few individuals who will be selected to sleep in one of five Ibis Hotels in a tech-heavy bed. The bed will be outfitted with all kinds of sensors to measure sound, heat and pressure from the sleeper. 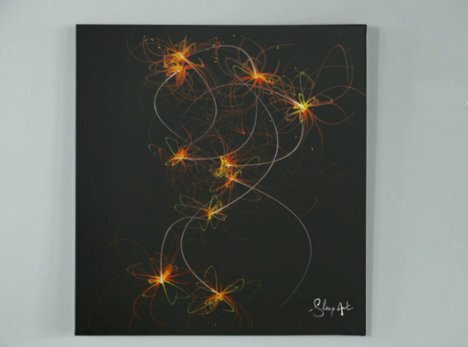 These data are then translated into an algorithm which, when transferred via wi-fi to a particular studio in Paris, will guide the brush of a robot artist. 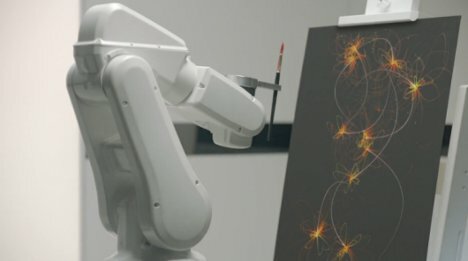 The robot will translate the sleep data into brushstrokes that will make up an entirely unique piece of art based on that single night of sleep. After the night is over, a surprisingly beautiful piece of art shows the sleeper’s activities throughout the dark hours. The incredible project is short-term and only 40 people will take part as sleeper models. The hotel chain is choosing participants from their Facebook page. See more in Art of Tech or under Technology. October, 2012.